NINObrand will have a lot of awesome styles on the floor at super reduced prices. This sample sale is by APPOINTMENT ONLY. 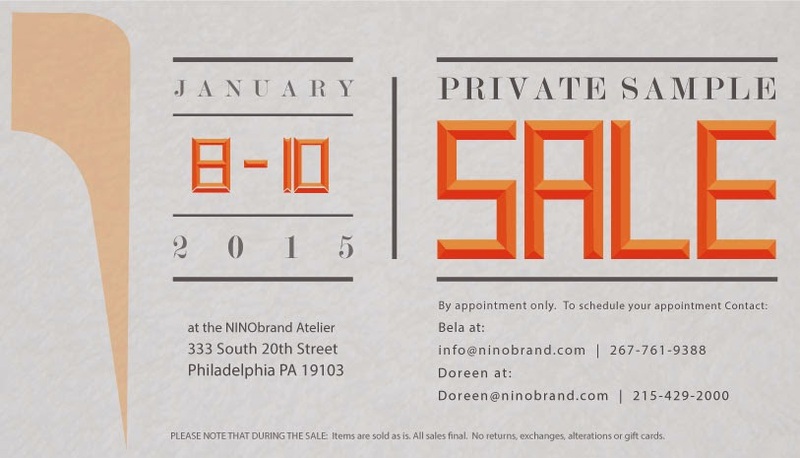 Sample Sale: January 8-10, 2015 in Philadelphia, PA.